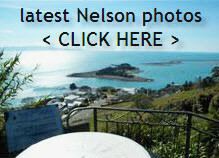 Crikey, when it arrived it back then…….it even made the front page of our local paper, the Nelson Mail. This really is the future, this KickStarter concept thing I feel. Folks…it would appear that after quite some years of tracking…we are nearly there…..and for me… Well…. After seeing/tracking this concept a year or so back (ok ok maybe a bit longer than that…but hopefully you get my drift…2008/09 was a while ago….) …I was in the mind….thinking how long something like this would really take to get to ….well….serious taken…fruition / traction….and even more so….especially when considering the monster USD$ price these chaps/folks/ladies were hoping to launch the product at ….at first I was thinking…..are they even on the “same planet? See here today …in your time and place the cheapest FLIR cam on Amazon…. (and I have no idea how good it is…) is priced at….well see the pic for yourself. And the resolution is…ready for it …. 120 x 120 pixels. To me…its a massive game changer to the “end user”….just like that Microsoft Kinect Cam thing was a while back… think the next bunch of 10-12years are about to show us in the next 5 yrs just exactly what this “tech” can do. Man…what the h*ll is it about these folks that call themselves Kiwis? Surely…they should just be happy with their lot in the antipodes….why the heck do they try to make such a fuss….? Well….hey …that’s just the Kiwi spirit…unless I was born different? Back to the topic I was meant to start todays post with…. Well it looks like there are two legged, red blood cell, understandable language speaking, excitement chasing, intelligent beings down under after this weeks announcement at CES 2014. If I could get $25 for every mention of this product on TV News in 2014 I reckon I could be a millionaire. Lets see? No longer will you have to involve the services immediately of a $1000 per visit on-site specialist. So to the forward ….embrace this tech…and show your clients that you really are trying to “go overboard” in helping them buy a new property for all the right reasons. Perhaps the wrong answer is No…but then I personally profess I do not know what the right answer is? But it means you have definitely taken it to the next level of client involvement and indeed….could be no more happy than to tell your new property buyer….from what I / we can see here on this screen….see Mr Client look here…. I am about to suggest to you here and now….. that you should spend a few extra dollars ….. and based on what this screen shows….invest in a thorough examination of…..well ….what-ever tickles yr fancy I reckon. From a New Zealand perspective it would be, more than 80% of the time an important decision about weather-tightness…but there could quite easily be other reasons too…and the fact that YOU were the person that first brought this to your clients attention cannot do you no harm…well thats my thought pattern anyway. Realtors on Android ~ Where is the Sun? Is this the future for Real Estate Video in NZ? This entry was posted in Buyers, General, photography, Technology on January 13, 2014 by David Leggott.